Annual. From 1972 onward, issued by Canadian Grain Commission. 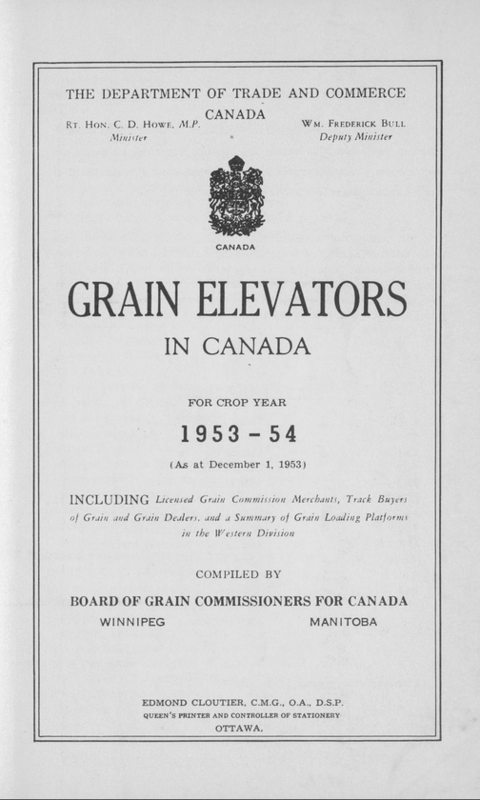 From 1979 onward, issued in both French and English under the title Grain elevators in Canada = Silos ? grain du Canada. Issues from 1998/99 onward available online at the Canadian Grain Commission Web site (http://www.grainscanada.gc.ca.login.ezproxy.library.ualberta.ca/statistics-statistiques/geic-sgc/geich-hsgc-eng.htm) [22 July 2015].